Founder Luigi Aquilini emigrated from Travagliato, Italy, to establish a life for his family on Canada’s West Coast, in Vancouver. Over the following decades, he began building quality homes, and then further expanded by diversifying. Luigi grew the company, including expanding into agriculture, hospitality and entertainment, by developing a philosophy and clear vision of how he wanted to contribute to his community. Luigi is especially proud of the thousands of private sector jobs he has created and his co-workers and partners who have helped him achieve his company and community building goals. 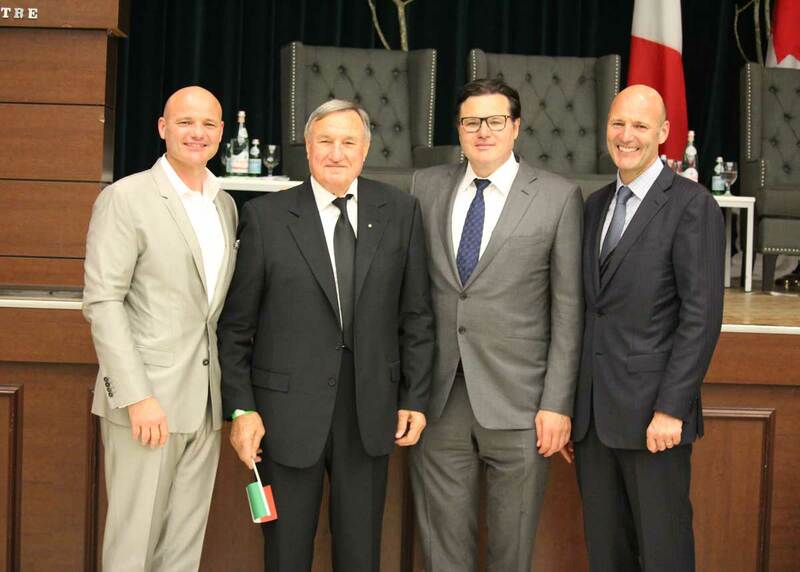 Three generations of the Aquilini family continue to be stewards for the values of our company. Founder Luigi, his sons Francesco, Roberto and Paolo, and several of Luigi’s grandchildren ensure that our company values of honesty, respect and discipline are upheld. These core values guide the decision-making processes for our employees as we work collectively to create jobs, contribute to our economy, and strengthen the communities we operate in and where our employees and customers reside. Aquilini is a diverse network of companies: development and construction, property management, hospitality, food and beverage, sport and entertainment, technology, renewable energy, and our significant viticultural and agricultural holdings. From the Canucks and the Toptable Group, to Golden Eagle and land-based aquaculture, we are always looking for opportunities to invest in the future. 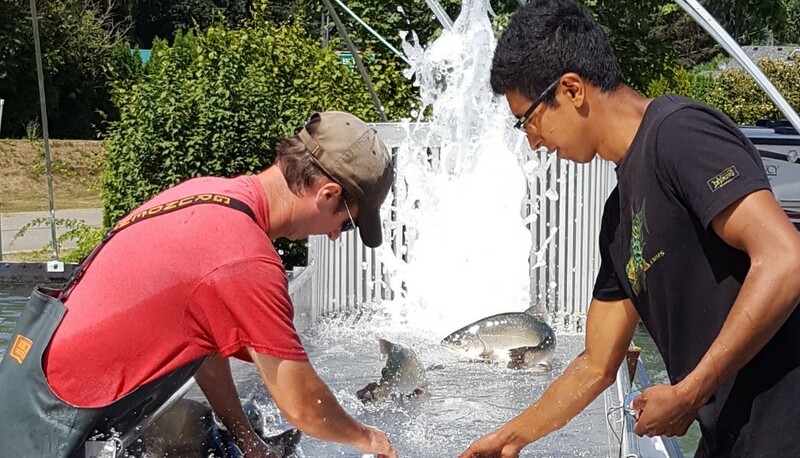 Respecting the legacies of the partnering First Nations as stewards of the land by reflecting Salish culture across our projects on every street, building, park and facility. By doing so, we ensure that the history and basic foundation of the partnerships reflect the respect and values held by the First Nations people. The Aquilini Group is committed to giving back to the communities that host our operations. The Canucks for Kids Fund supports numerous local children’s charities including the B.C. Children’s Hospital, Canucks Place and the Kidsafe Project Society. Aquilini Group employees and our company support the Juvenile Diabetes Research Foundation, the Vancouver General Hospital Foundation, the Vancouver Police Foundation, the Canucks Autism Network, the David Foster Foundation, and many other charities. 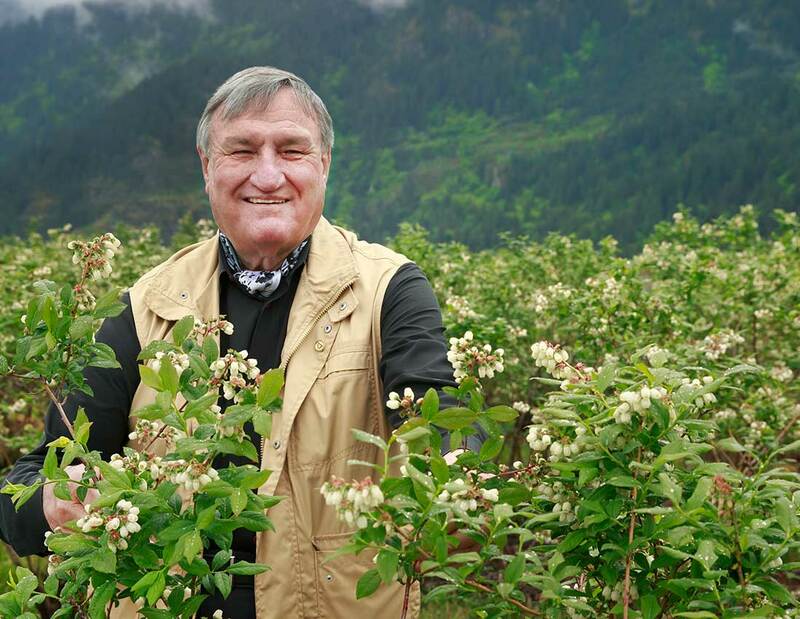 A donation of two separate parcels of land totalling 600 acres of land in Pitt Meadows and Maple Ridge B.C. has created the Codd Wetland Ecological Conservancy Area and the Aquilini Land Conservancy (Blaney Bog). The expanded Renal Unit at Vancouver General Hospital is another worthwhile cause that has been personally supported by the Aquilini Family. Founder Luigi Aquilini emigrated from Travagliato, Italy, to establish a life for his family on Canada’s West Coast, in Vancouver. Over the following decades, he began building quality homes, and then further expanded by diversifying. Luigi grew the company, including expanding into agriculture, hospitality and entertainment, by developing a philosophy and clear vision of how he wanted to contribute to his community. Luigi is especially proud of the thousands of private sector jobs he has created and his co-workers and partners who have helped him achieve his company and community goals. Three generations of the Aquilini family continue to be stewards for the values of our company. Founder Luigi, his sons Francesco, Roberto and Paolo, and several of Luigi’s grandchildren ensure that our company values of honesty, respect and discipline are upheld. These core values guide the decision-making processes for our employees as we work collectively to create jobs, contribute to our economy, and strengthen the communities we operate in and where our employees reside. Aquilini is a diverse network of companies: development and construction, property management, hospitality, food and beverage, sport and entertainment, technology, renewable energy, and our significant viticultural and agricultural holdings. From the Canucks and the Toptable Group, to Golden Eagle Group and land-based aquaculture, we are always looking for opportunities to invest in the future. Respecting the legacies of the First Nations as stewards of the land by reflecting Salish culture across our projects on every street, building, park and facility. The Aquilini Group is committed to giving back to the communities that host our operations. The Canucks for Kids Fund supports numerous local children’s charities including the B.C. Children’s Hospital, Canucks Place and the Kidsafe Project Society. Aquilini Group employees and our company support the Juvenile Diabetes Research Foundation, the Vancouver General Hospital Foundation, the Vancouver Police Foundation, the Canucks Autism Network, the David Foster Foundation, and many other charities. 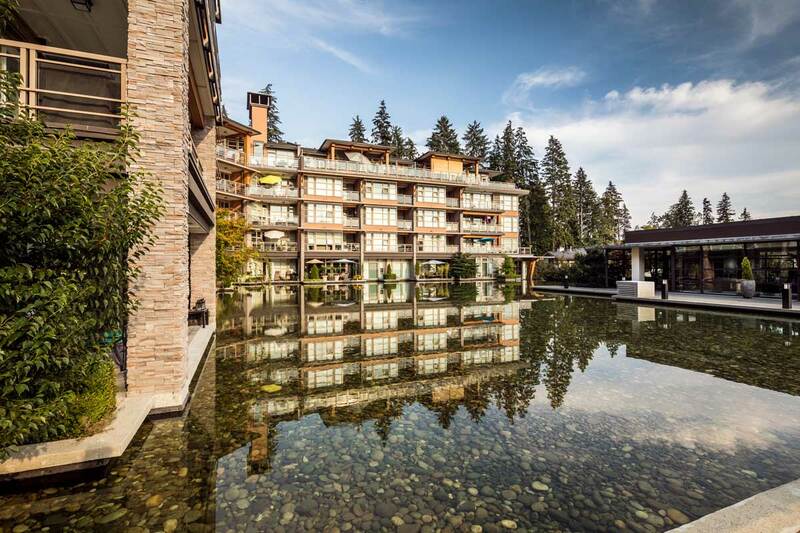 A donation of 600 acres of land in Pitt Meadows and Maple Ridge B.C. 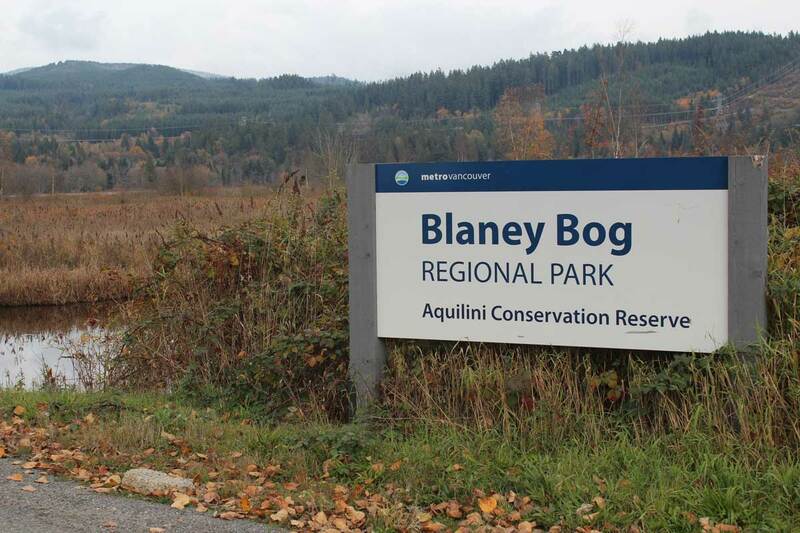 has created the Codd Wetland Ecological Conservancy Area and the Aquilini Land Conservancy (Blaney Bog). The expanded Renal Unit at Vancouver General Hospital is another worthwhile cause that has been personally supported by the Aquilini Family.